Among the iconic buildings of Frank Lloyd Wright that grace urban, suburban and rural landscapes throughout North America and Japan, Unity Temple in Oak Park—his first major public building—is a modern masterpiece designed for the Unitarian Universalist congregation in 1905. This month, 110 years later, a major restoration of Unity Temple will begin. Directed by Unity Temple Restoration Foundation, planned and guided by the local firm of Harboe Architects, the restoration will encompass the building’s exterior and interior: its concrete façade, interior paints and finishes, clerestory windows, art glass laylights, skylights and landscaping. A new geothermal system will also be installed to heat—and for the first time in its history, cool—the building. In the spirit of full disclosure, I currently work with Unity Temple Restoration Foundation as a consultant. My fascination with this architectural icon, however, predates the relationship. So I have a confluence of interests. At the time, Wright was eighteen and about to enter the University of Wisconsin. Twenty years later, after fire destroyed their Gothic Revival-style Unity Church, the Unitarian Universalist congregation in Oak Park commissioned Wright, a member of the congregation, to design a new church. And it has. The building, which received international attention following the 1910 publication by Ernst Wasmuth of Unity Temple drawings in Ausgeführte Bauten und Entwürfe von Frank Lloyd Wright, was hailed as a masterpiece of modern design, and is still praised for its geometric massing, use of modern materials and innovative configuration of space. Wright designed the building to house two distinct spaces: Unity Temple, a four-level cubic auditorium, or worship space, in the north wing, and Unity House, for the congregation’s social, cultural and educational convenings, in the south wing. Both feature the geometric forms and muted earth tones, expressing natural simplicity, warmth and order, which characterize many of Wright’s interior spaces. Both are open to the sky and natural light through art or “patterned” glass—as termed by Wright—laylights. The two spaces are connected by a single-story central entry foyer. Entrance to the foyer from the west and east terraces, rather than from the north public face of the building, is through six doors with panels of exquisite, art glass clerestory windows. Entering this horizontally expansive, symmetrical space prepares one for the transition from the everyday, public world, into the private space of reflection, communion and community. To go from Lake Street outside to a seat in Unity Temple’s lower gallery, one makes no less than nine right-angled turns, as if the passage calls up the spatial experience of a labyrinth through different levels and conditions of light. The contrast between the wide, broad steps up to the terraces and the narrow, high steps between levels in the auditorium suggests the ancient and universal religious concept of the narrow path to salvation or a heavenly realm… the difficult yet rewarding passage from the secular to the sacred. 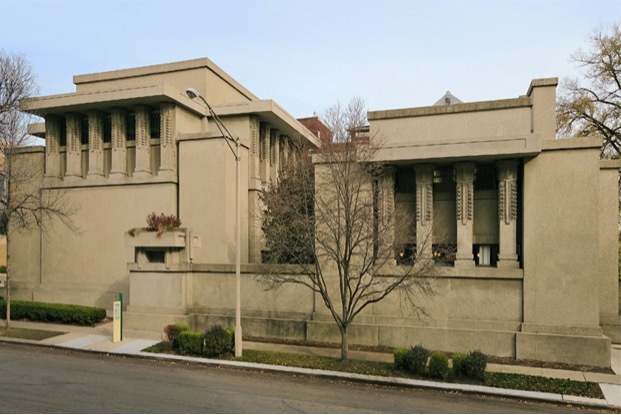 The building still serves the purpose for which it was intended: a spiritual home and community center for the Unity Temple Unitarian Universalist Congregation. Through the efforts of Unity Temple Restoration Foundation, the organization founded in 1973 to steward restoration and maintenance of the building, Unity Temple has also been open to the public since the late 1980s for guided tours, arts and culture programs and events. That Unity Temple continues to fulfill its original function is one of the strengths of its recent nomination as a World Heritage site. 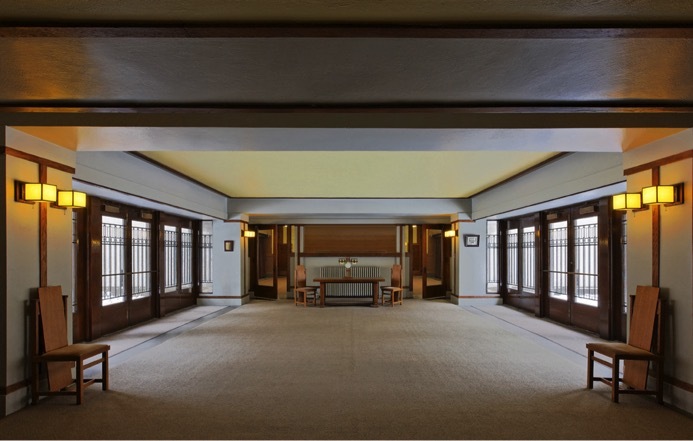 Just this year, Unity Temple was nominated for inclusion on the UNESCO World Heritage list, along with nine other Wright buildings: Robie House, Taliesin and Taliesin West, Hollyhock House, Fallingwater, Jacobs House, Guggenheim Museum, Price Tower, and Marin County Civic Center. The Frank Lloyd Wright Building Conservancy began the complicated, rigorous process of coordinating the nomination in 2003. As Janet Halstead, executive director of the FLW Building Conservancy, notes, “Most of the twenty-two World Heritage sites in the US are part of the National Park system. 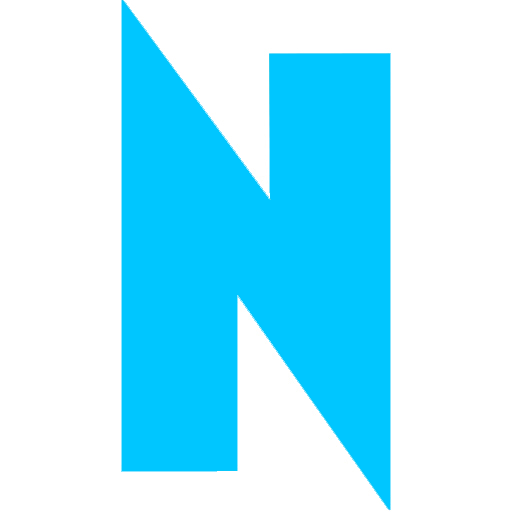 If the nomination is successful, it will be the first entry on the World Heritage list for modern architecture in the US. Given Wright’s position as America’s most important architect, we hope inscription in the UNESCO list will draw increased attention worldwide to his contributions to the development of modern architecture globally, and to these ten and other Wright sites, including his larger architectural legacy in the Midwest.” A decision on the nomination is expected in 2016, as is the completion of the Unity Temple restoration. Regularly scheduled tours of Unity Temple are led by the Frank Lloyd Wright Trust, flwright.org, and will continue through May 30. At the end of May, the building will be closed to the public until the restoration is completed in Fall 2016.